Is there anything better than an adorable read in front of the fire place on a cool winter-y afternoon? 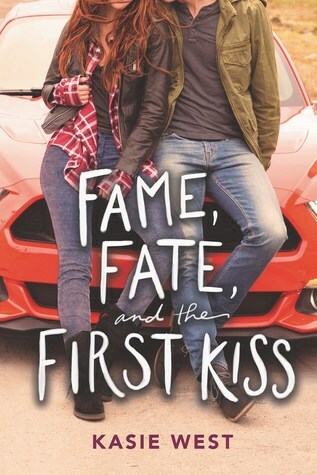 Fame, Fate, and the First Kiss, like most West books, was just so much fun. So cute and sweet and just the right thing to escape for a couple of hours and be left, by the very last page, with a smile on my face and a warm feeling in my heart. Classic West with all the feels, friendships, and storyline that we've all come to know, count on, and love. Yay! Glad you enjoyed this. I can't wait to get to it. I love her books so much. I really do too, they are always so cute and fun! It was definitely cute and fun. It's always nice to find a good read. A first kiss, how sweet. That is seriously awesome Tyler!! I like some of her books and I need to try more! Cute, sweet and comfy...hard to go wrong. I really like her books. They are super cute. I still need to catch up on a couple of her books. I have at least one I haven't read yet as well. It's so hard to pick and choose sometimes what to read so I completely get it. I'm glad that you were able to enjoy this one a lot more than I was, I have to agree with you though, this really was a cute read! A puppy definitely would have made it better! I really hope you end up liking it then! It really was just cute and fun. I enjoy her books as well. I've still got at least one in my tbr to get to. Sooner or later, I will probably get to this one! Glad you are a fan of her as well! I've heard so many good things about this author! Her reads sound so cute. Great review! They really are just so cute and fun. They are great when you just need a cutsey pick me up kind of story. Reading in front of the fire? Sounds lovely. I'm glad you enjoyed this one. It sounds like a really cute read. Though I probably won't read it, it does sound very entertaining!